The Sin Bin Sports Blog: Can The Ducks Win Without Selanne? Can The Ducks Win Without Selanne? The Anaheim Ducks find themselves in a very familiar spot this off season, waiting on a decision from veteran forward, Teemu Selanne. 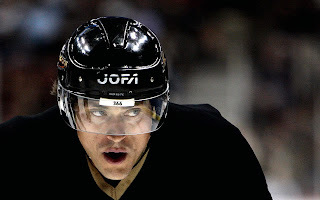 Selanne's first waiting game took place at the beginning of the '07-'08 season, where he missed the first half of the season before deciding to return. After Selanne's two year contract, that he signed at the end of that season ended, the Ducks once again waited on Selanne's decision if he would return to play last season. Selanne did decide to return and produced his best point totals of the last four seasons, recording 80 points, after netting 31 goals and adding 49 helpers. However, even with Selanne's stellar performance the Ducks find themselves waiting once again. Selanne's point totals from last season say he has still got it, but does his body have what it takes to make its way through another 82 game grind. Selanne is said to make a decision within the next few weeks. But lets say the "Finnish Flash" decides to hang the skates up for good. Can the Ducks win without Selanne? A departure by Selanne would leave an 80 point hole in Anaheim's second line, and his leaving the team for good would be the biggest lose of the off season. However, the Ducks should have the fire power to get by with out a roster featuring Selanne's name. The Ducks' first line of, Ryan Getzlaf centering Corey Perry and Bobby Ryan can skate with the best in the league. The three combined for 245 points last season and could have had more if Getzlaf had not missed15 games after taking a puck to the face. If Perry, last year's only 50 goal scorer, can produce another Hart Trophy worthy season he should carry most of the load. The addition of Andrew Cogliano, a speedy center man who has not missed an NHL game since turning pro, could aid some of the hole left by Selanne if he grabs the second line center spot. Defensively Anaheim is home to some of the most offensive d-men in the league. Lubomir Visnovski was the NHL's highest scoring defense man, while Cam Fowler recorded 40 points as an 18 year old rookie. Those numbers are better than some forwards in the league. With that core present in the locker room, next season the Ducks should not have to worry much if Selanne retires. 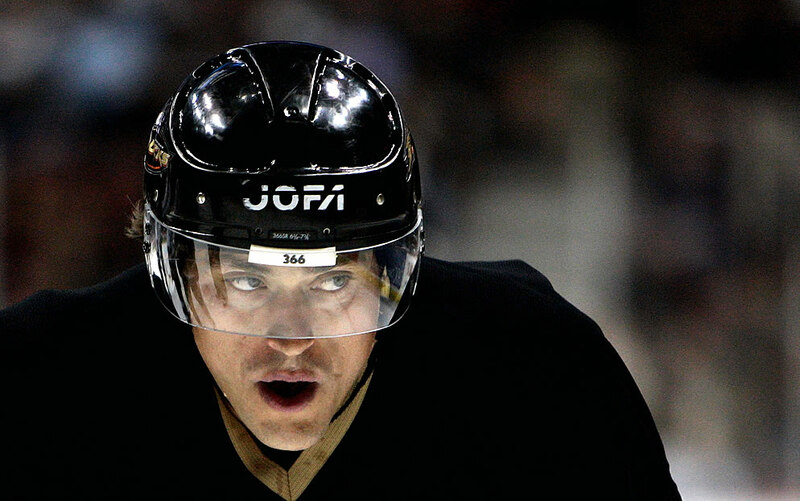 Of course, losing Selanne would be painful no matter what the circumstances were. But the Ducks should have enough talent to get by, in what looks to be a very competitive Pacific Division they may not have what it takes to make a run at the title but should be in the mix for a playoff spot. I agree it's going to be difficult on the Ducks losing Selanne if he does retire. There are some good players left in the Free Agent department that could help the Ducks second and third line. If this season does go on without Selanne then I guess we will bring up our top prospects and see if they have it in them to play at the NHL level.